In June, O2 celebrated 10 years of their sponsorship of The O2 showcasing some of the biggest names in the music and entertainment industry. O2 marked the occasion by creating a live fans experience at the venue which was streamed over Facebook and ran from the 16th June – 24th June in 2017. 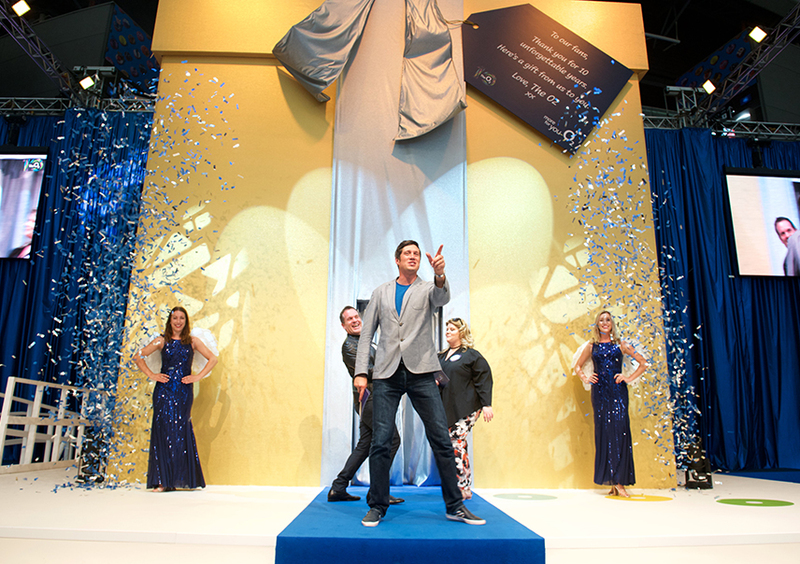 Designed and managed by Ice, a huge 6m by 6m 10th Birthday Present Box took centre stage and set the tone for a big birthday bash at The O2. Music fans were invited to participate in a live game show, hosted by Vernon Kay and supported by Chris Moyles, where a range of fantastic prizes could be won including VIP tickets to celebratory shows at The O2 including Ed Sheeran, alt-J and Celine Dion.